COMMENTS: Circa March 2008. Very good condition. One or two little dents on the body and a scuff on the bass horn. Little dent in the neck behind the nut that cannot be felt. Pickguard has been drilled for a bell cover. 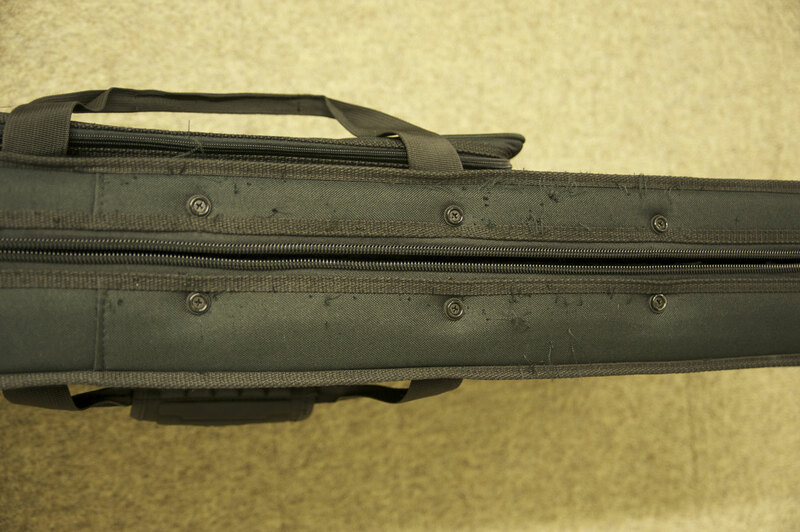 Ultralight case is in good condition, but it ooks like a feline might have been involved at some point (see photos). A little TLC with some scissors will probably help outwe'll try to clean it up a bit before we ship it out. 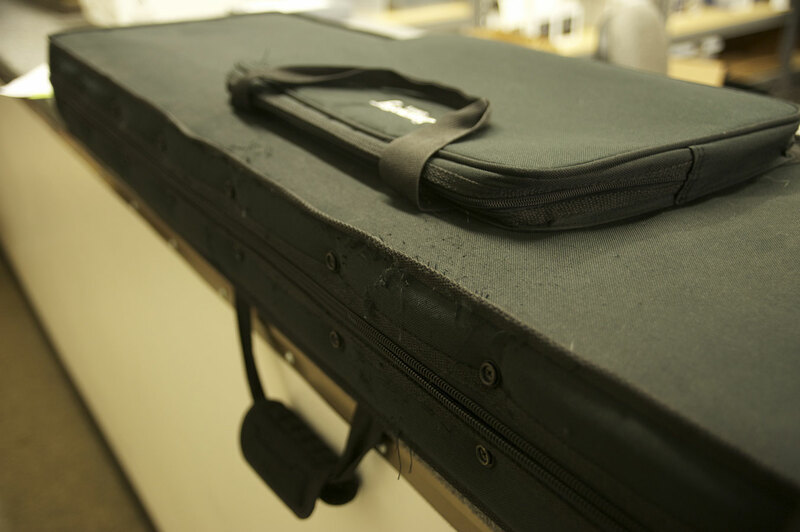 If you would like to substitute a new hardshell case, add $225 or $189 for our PortaBag.